Affordable – This Tree will not break your budget. 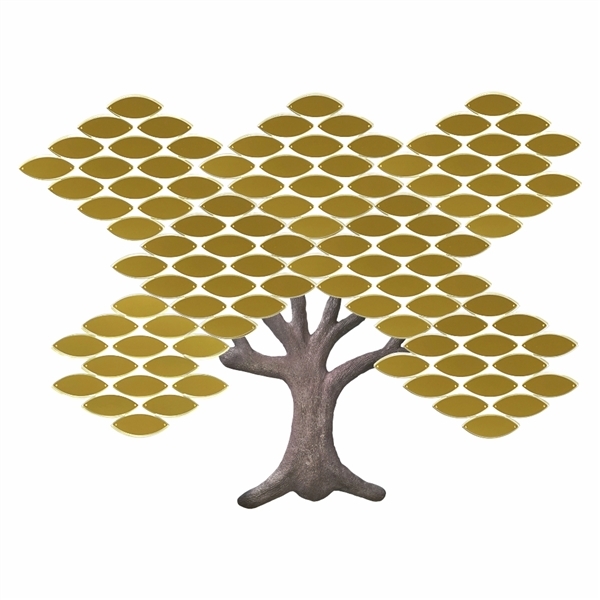 Unlike real bronze trunks, the cast resin simulated bronze 3D tree trunk costs almost half the price! 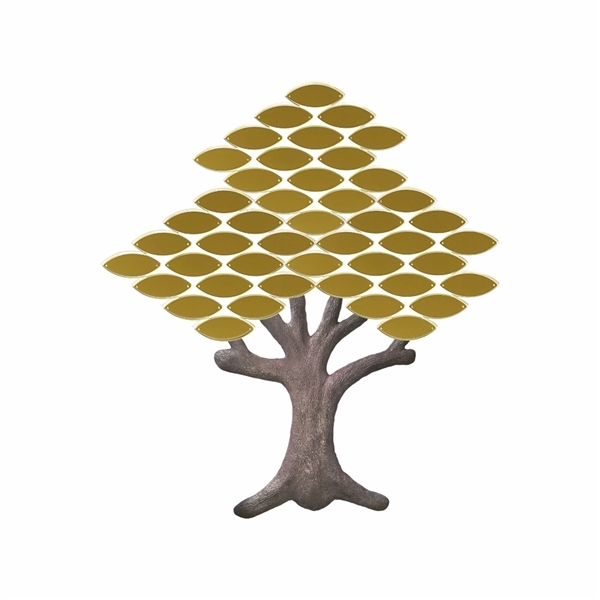 Obtain the highly sought after three dimensional trunk look, without paying the high price of 3D carved wood or genuine cast bronze. Tight Configuration – Leaves configured together tightly which allows for maximum growth while still conserving on wall space. 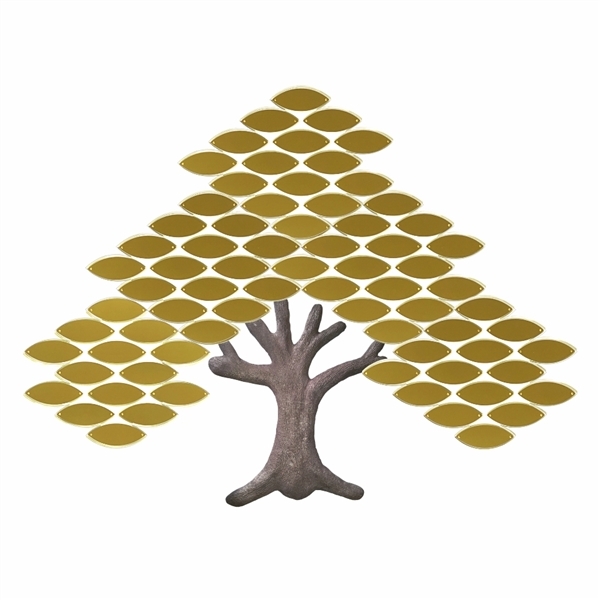 Resin Accessories – Many accessories available, including cast resin stones and acorns that match the cast resin tree trunk. Legible, clear and Black Leaf Imprinting/Engraving – Leaves come in a standard metallic faced polymer material (engraved), or upgrade to metal, (printed). All printed/engraved text on leaves is black, clear and very legible. Our printing and engraving technology allows for maximum flexibility in font choice. Quality & Made in the USA – 1/4” thick clear acrylic leaf backer modules are laser cut for accuracy and smooth edges, and holes are drilled and tapped to accept leaf screws and prevent acrylic cracking. Ease of Installation – A full size paper mounting template is included along with illustrated installation instructions. All hardware included.